When Christopher Dobson was 16 years old and a sophomore in high school, he was diagnosed with Hodgkin lymphoma and entered treatment at Children’s Healthcare of Atlanta (CHOA), the local Children’s Miracle Network Hospital. Following his treatments, he went into remission but, unfortunately, relapsed seven months later. After beating cancer a second time, Dobson was able to graduate high school and attend Kennesaw State University, where he joined the Theta Epsilon chapter of Theta Chi fraternity. Dobson says he’s grateful to have had these fraternity brothers as a support system after he relapsed again and had to enter the hospital for a third time. This time, he received a stem cell transplant from a woman in Germany and had to spend 127 days at CHOA where he was confined to just one floor of the hospital. During this round of treatment, his fraternity brothers decided they needed to do something to help out and show support for Dobson. Since that point, the chapter has worked to raise funds and awareness for the hospital. They’ve also scheduled visits to and tours of the hospital to help brothers see how their fundraising is making a difference for the patients treated there. At the beginning of the Fall 2016 semester, Kim texted Dobson saying he wanted to set a goal for the chapter to raise $20,000 during the school year. “There’s no way we’re going to raise $20,000,” Dobson remembers thinking at the time. Throughout the year, Kim encouraged brothers to fundraise and ask family and friends for donations, giving them fundraising advice and tools. In March, the chapter hosted their annual week-long philanthropy event, called “Desperado Week,” on campus and invited sorority chapters to participate in various competitions, including Penny Wars, a social media contest and several benefit nights at local restaurants. This year, the chapter decided to set a goal for how much they hoped to raise during the week and wanted to make the goal significant to Dobson’s personal experiences being treated at CHOA. They set a goal to raise $6,570: $2,300 in honor of the 23 years Dobson has lived and conquered cancer, $1,270 for the 127 days he spent in treatment at CHOA during his third battle and $3,000 in recognition of the three times he has beaten cancer. Brothers visited sorority chapter meetings where they shared Dobson’s story and showed a video to educate people about how CHOA helped save his life. “Because people had a connection to him, they now had a connection to this cause,” Kim said. Dobson had served as the Theta Chi Chapter President in 2016 and was a familiar face on campus, allowing his story to have an even more significant impact on his peers. 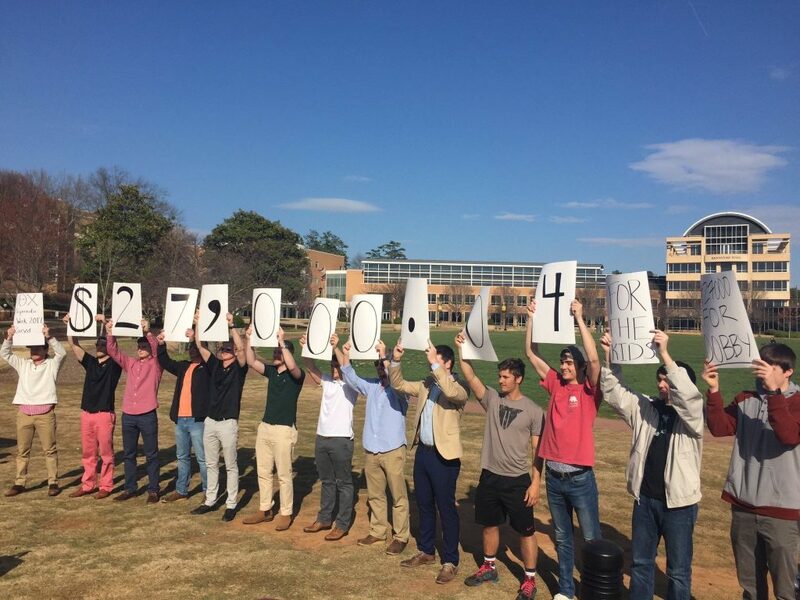 After a week of fundraising, the chapter was surprised to realize they had raised over $27,000 in just one week thanks to the hard work of their brothers and the support of sorority members on campus. This year, the chapter decided to direct all of their fundraising through KSU Miracle, the Miracle Network Dance Marathon program on campus that also fundraises annually for CHOA. Through their personal connection to the cause, many brothers have been motivated to get more involved and have taken leadership roles in the Dance Marathon organization. This past year, Theta Chi brothers held three positions on the KSU Miracle executive board and four brothers served on committees. In total, the chapter had 75 brothers register to participate in KSU Miracle. At the end of KSU Miracle’s Dance Marathon event on March 25, they revealed that the campus had collectively raised $215,129 – three times more than the organization raised in 2016. A large part of that total came from the $44,000 that the Theta Chi chapter raised, far surpassing their original goal of $20,000. Beyond the impact the chapter has made through their fundraising for CHOA, the Theta Chi brothers have also seen their philanthropic efforts have a significant positive effect on both their individual members and their fraternity. “When we were able to do something all together, it helped bring the chapter together and bridge the gap between classes,” Pandza said. 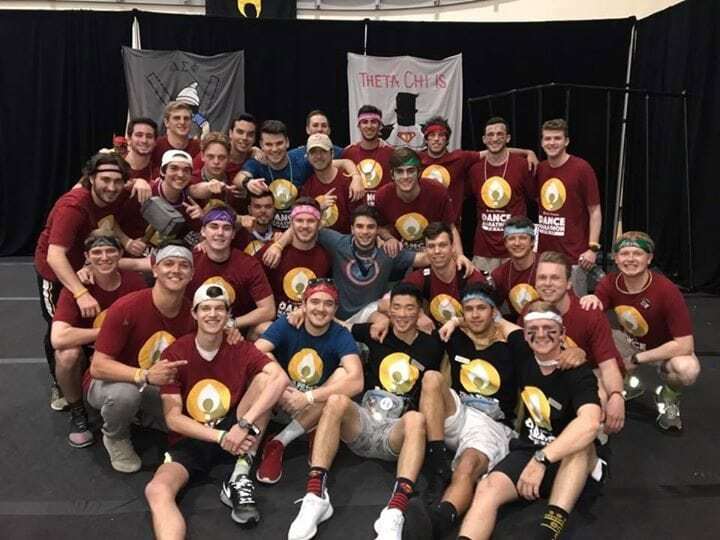 Theta Chi became the first fraternity in Kennesaw State history to raise over $40,000 for a philanthropic cause and is one of the top fundraising fraternity chapters in the nation for a Miracle Network Dance Marathon program. The chapter’s involvement in supporting KSU Miracle has also allowed them to build relationships with students and organizations outside their own chapter and work together with others on campus toward one common cause. When asked what advice he had for fraternity members around the country who were considering getting involved in a Dance Marathon and supporting their local children’s hospital, Kim said, “Give it a chance. It is honestly the greatest experience. However long your campus’s Dance Marathon is, give it that chance for that one day and your life will be changed. You will fall in love with this movement, these kids and their families. Miracle Network Dance Marathon is an international movement, involving over 300 colleges and universities across North America that fundraise for their local Children’s Miracle Network Hospitals. Since its inception in 1991, Miracle Network Dance Marathon has raised more than $150 million–ensuring that no child or family fights pediatric illness or injury alone.